Urushi craftsman Tadami Iwamoto carves each of his vessels and utensils without the use of a lathe, using only small tools to hollow out and shape each piece. 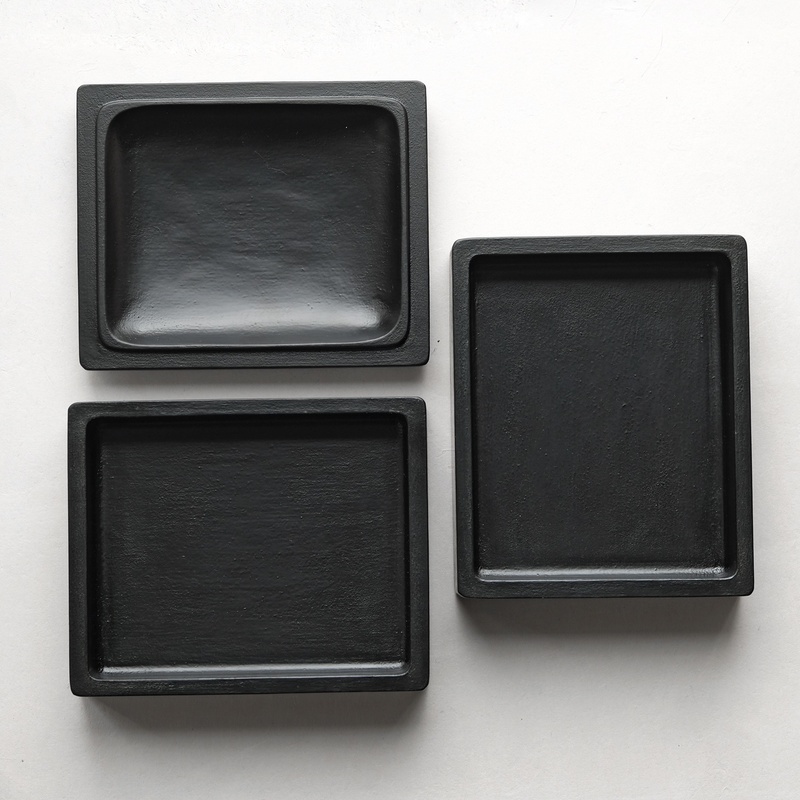 The process is time consuming and limits the quantity of his output but results in forms that are organic and textured.Traditionally producing urushi lacquerware requires the skills of two artisans, one with skill in wood carving or turning to prepare the wood base and a second craftsman skilled in applying the ursushi. Iwamoto performs both roles producing each of his pieces from start to finish. 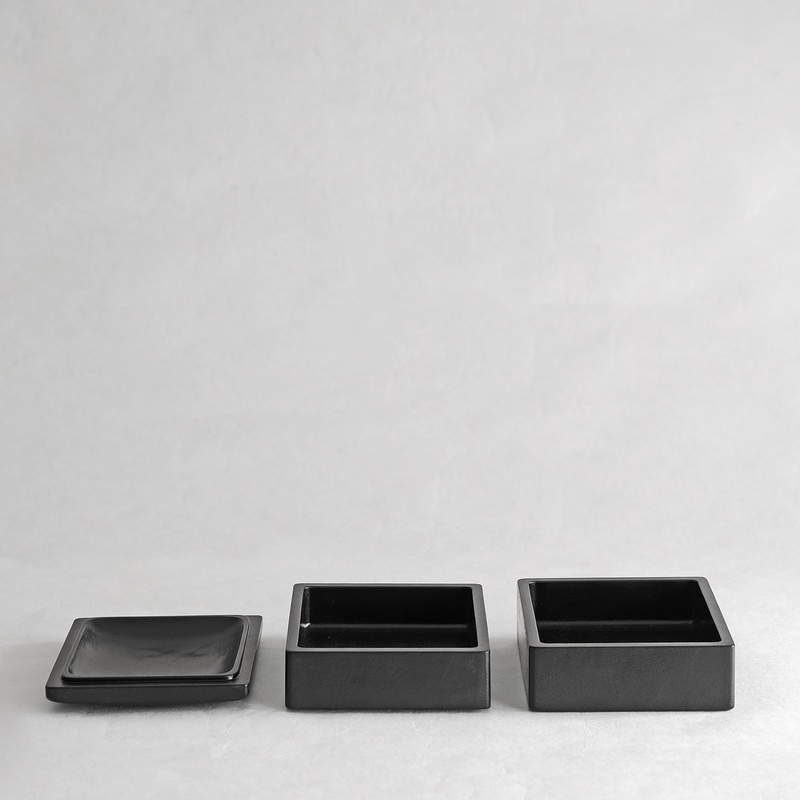 Jyubako are multi-tiered serving boxes traditionally used to carry New Year’s foods. 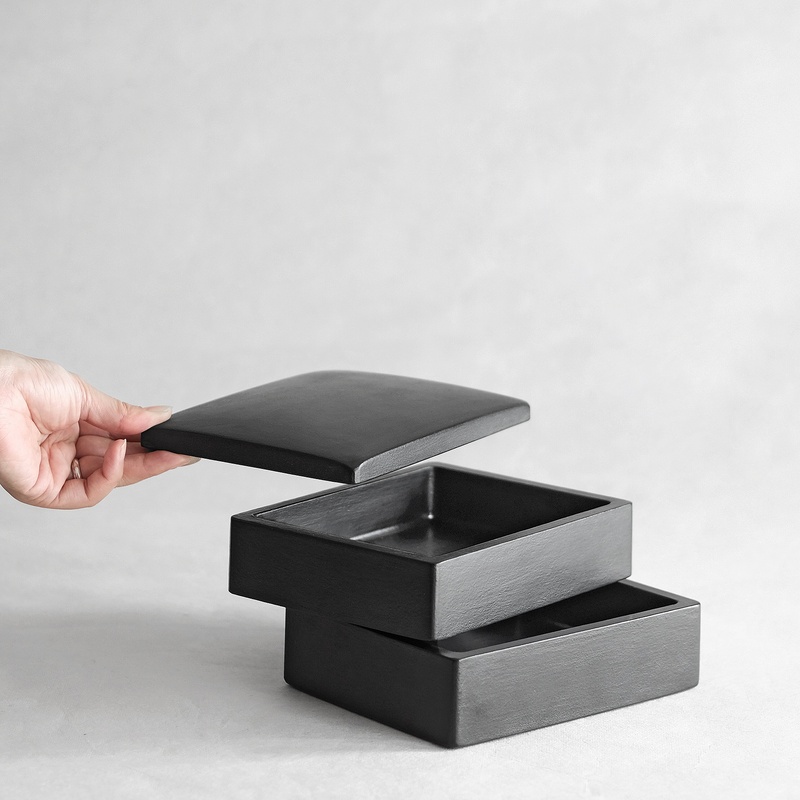 The lid and second level of Iwamoto's 2 tier box sits loosely atop the level below and is not designed to be tight fitting. 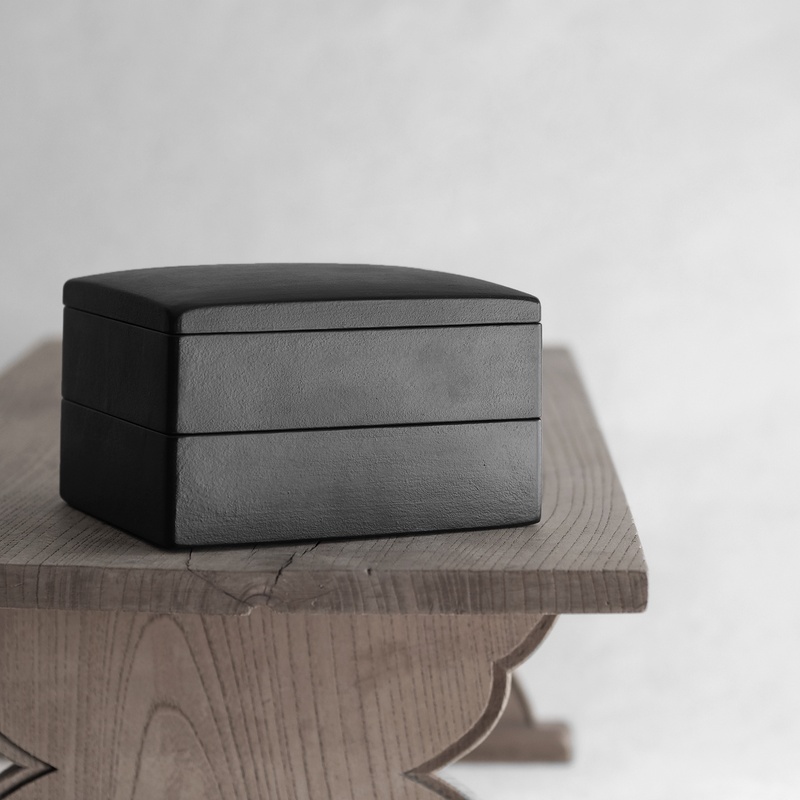 The elegant box can be used as a storage box for items other than food. It's deep shiny lustre, extreme resilience and durability has made Urushi ( Japanese Lacquer) an integral part of the Japanese lifestyle for thousands of years. It has been used on everything from tableware to furniture, tea ceremony tools, buddhist temple altars to hairpins, combs, pen and accessories. It is also often highly decorated using complicated techniques such as maki-e (spinkled application of gold or silver powder). Urushi is the sap of the Urushi tree that is native to Japan and a few other Asian countries. It is a natural, living substance that contains no artificial chemicals. 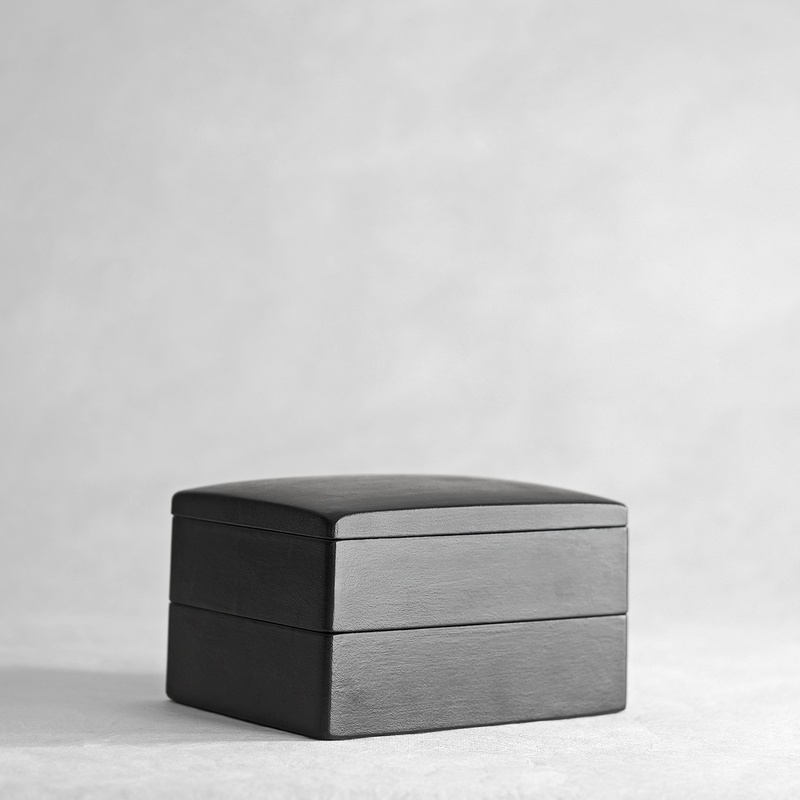 After the urushi sap has been removed from the tree it undergoes a period of aging for 3 to 5 years and is refined and processed in preparation for application to a variety of surfaces, most commonly wood. When applied in thin coats it hardens to form an extremely strong durable coating that will last a lifetime with care. Urushi work is a community craft that usually requires the abilities of more than one skilled artisan to complete each piece of work. The creation of the the underlying woodwork and the application of the lacquer are usually done by two separate artisans collaborating closely.